Donald Trump has offered the position of U.S. attorney general to Alabama Sen. Jeff Sessions, the Trump transition team said today. 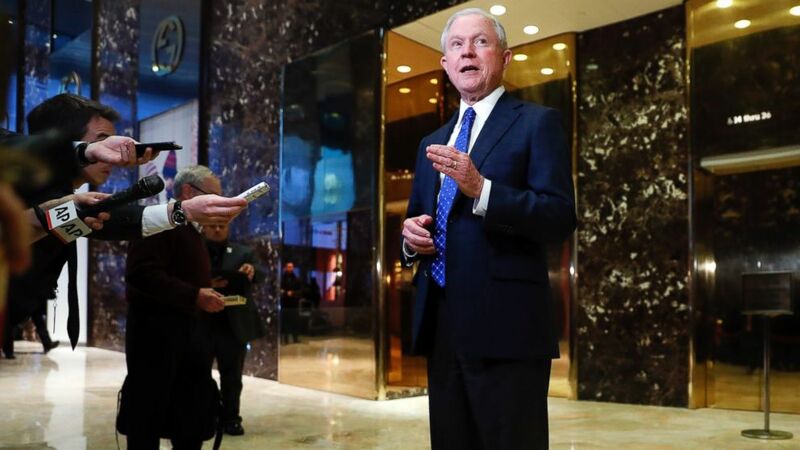 Sessions earned Trump's favor after becoming the first GOP senator to officially endorse the candidate in February during the Republican primary. He proved himself a loyal adviser to Trump on immigration issues and the Supreme Court, and stood by Trump's side through various controversies that many of his fellow Republican lawmakers assumed would sink his candidacy. "I am humbled to have been asked by President-elect Trump to serve as Attorney General of the United States," Sessions said in a statement. "My previous 15 years working in the Department of Justice were extraordinarily fulfilling. I love the Department, its people and its mission. "I can think of no greater honor than to lead them. With the support of my Senate colleagues, I will give all my strength to advance the Department's highest ideals." The Senate Judiciary Committee member has been a regular visitor to Trump Tower over the past week as Trump has huddled with close advisers in deliberating how he will staff his administration. With the prospect of Sessions being up for senate confirmation again, it's notable that Sessions was not recommended for confirmation in 1986 for a role as a US district judge by the Senate Judiciary Committee. Sessions, 69, faced criticism from both Republicans and Democrats on the committee following allegations he called the ACLU and NAACP "un-American" and made racist remarks directed at several colleagues. Sessions denied being a racist. "I am not a racist," he reportedly told the Senate Judiciary Committee at the time. "I am not insensitive to blacks. I have supported civil rights activity in my state. I have done my job with integrity, equality, and fairness for all." Trump campaign manager Kellyanne Conway dismissed concerns over whether Americans should still be concerned about Sessions' past in an interview Thursday with CNN. "We're aware of what was said and done 30 some years ago and we're also aware of the incredible career Jeff Sessions has had throughout his life," she said, noting he ran unopposed for the Senate in 2014. "I think if anyone had a problem with his record they would have run against him. Senator Sessions would be qualified for any number of positions." If confirmed, Sessions' seat in the Senate will be open for Alabama Gov. Robert Bentley to appoint a short-term replacement before setting a date for a statewide election to fill his seat. ABC News' Alana Abramson, Benjamin Siegel and Ali Rogin contributed reporting to this story.